Fall Is For Being Outdoors! Home » NEBRASKAland Magazine » Fall Is For Being Outdoors! Unquestionably, fall in Nebraska is one of the best times of the year to spend outdoors! 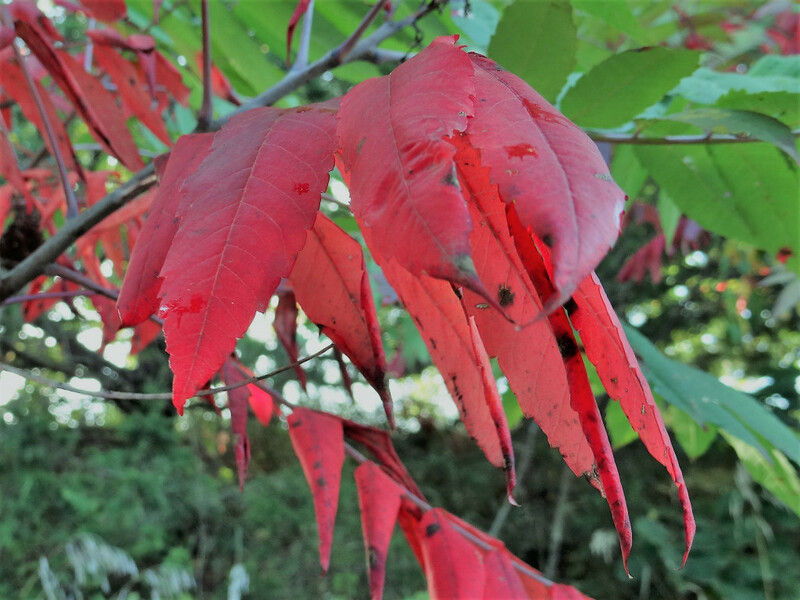 The days are getting shorter, the air is crisp, the crop harvest is underway; the leaves and other foliage are transforming into canopies of deep orange, bright yellow, and brilliant red. The brilliant red leaves of smooth sumac in the fall at Schramm Park State Recreation Are near Gretna, NE. Photo by Greg Wagner/Nebraska Game and Parks Commission. And, look at those fall vegetable gardens! They are abundant with tender, brightly colored vegetables. 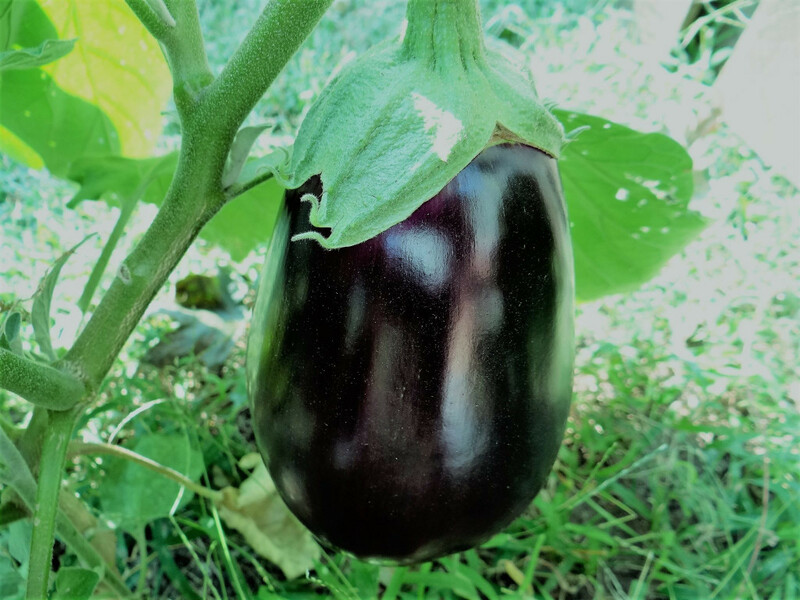 An eggplant is ripe for the picking in the Wagner family vegetable garden in Omaha, NE. Photo by Greg Wagner/Nebraska Game and Parks Commission. If you are looking for new and different opportunities where you can have fun, burn calories, get more Vitamin D, remain active, and maintain fitness, there is scarcely a better time of year to keep yourself and your family busy and healthy. Why not take advantage of fall weather and activities? Hiking, walking, running, peddling, pushing and pulling are even more enjoyable when the temperature is lower and the scenery is at its most beautiful. Here are a variety of creative ideas for stepping outside during autumn. Turn leaf-raking and other fall yard work into enteraining family activities. Pick pumpkins at a local farm or pumpkin patch. 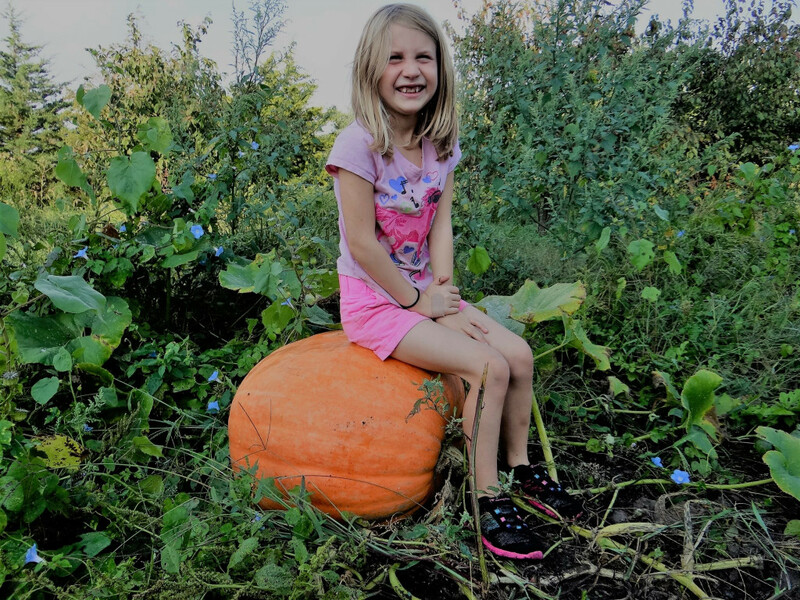 A youth sits atop a large pumpkin in a pumpkin patch in eastern Nebraska. Photo by Greg Wagner/Nebraska Game and Parks Commission. Take a stroll along a haunted trail or through a corn maze. Go on a hayrack ride, perhaps it’s a haunted hayrack ride. Attend a bonfire gathering, roast hot dogs or marshmallows for s’mores. Visit an apple orchard, buy fresh apples or apple products. Decorate your campsite in a festive Halloween fashion. Snap photos of falling leaves. 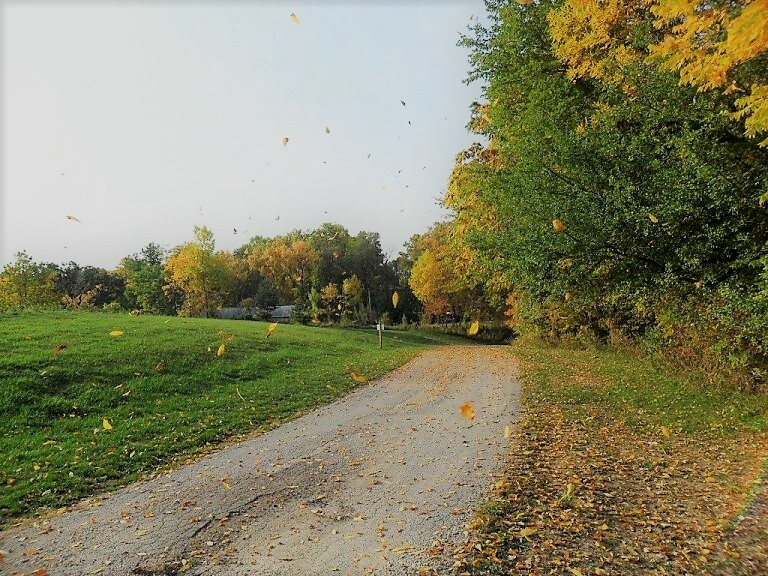 Leaves fall from hardwood trees in fall along a lane in rural Douglas County, NE. Photo by Greg Wagner/Nebraska Game and Parks Commission. 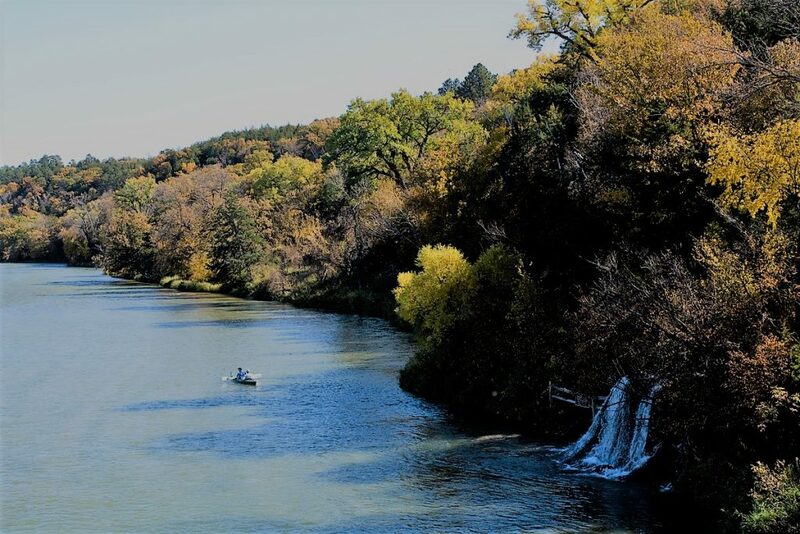 Head out for a weekend stay to one of our Nebraska state park areas; the crowds have left, the weather is cooler, the nights are excellent for sleeping under the stars, the fall colors are apparent and there are still plenty of activities to enjoy such as fall camping, hiking, biking, fishing, geocaching and bird watching. Check the Nebraska Game and Parks Commission website calendar for individual state park events. Naturalist programs, bird watching expeditions, living history demonstrations, fun Halloween functions, and other themed activities can make getting some fresh air and fitness even more enjoyable. Try accessible parks and trails in your area that you haven’t yet explored. Visit state, city or Natural Resources District (NRD) or websites to get information. Embed yourself in nature and fall foliage colors by floating a nearby water trail (stretch of river). A kayaker is seen paddling the spring-fed waters of the scenic Niobrara River east of Valentine, NE amid spectacular autumn colors. Photo courtesy of NEBRASKAland Magazine/Nebraska Game and Parks Commission. Wet a line, catch a fish! 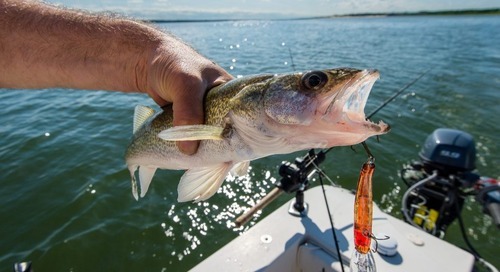 Plan a fall fishing trip. Try for fall-stocked, skillet-sized rainbow trout in a public water not far from your home. Participate in the Game and Parks Commission’s Trout Slam. Autumn is a great time to catch many different species of fish as they vigorously feed building up fat reserves for the coming winter months. Broaden your hunting knowledge, refresh your hunting skills and pursue a game species you have not harvested or complete the new Upland Slam challenge. 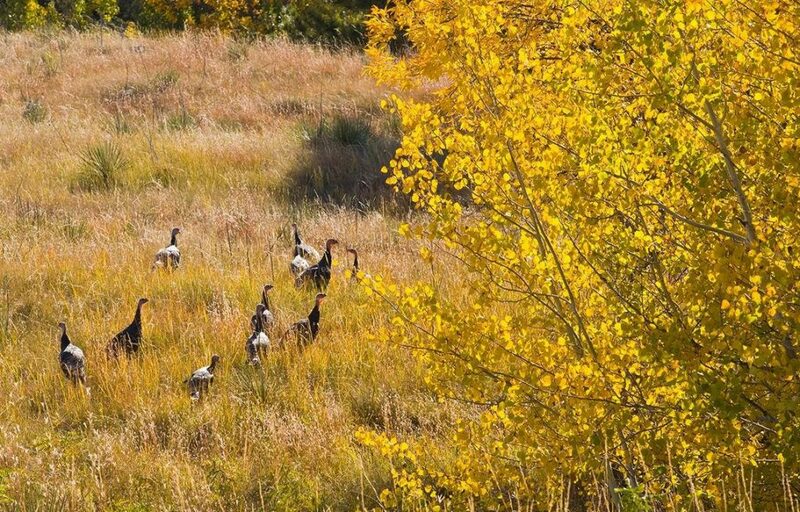 Maybe go on a fall wild turkey hunt in the Nebraska countryside! Wild turkeys amid fall foliage. Photo courtesy of NEBRASKAland Magazine/Nebraska Game and Parks Commission. Forage for tasty, edible wild fall nuts, fruits and mushrooms. 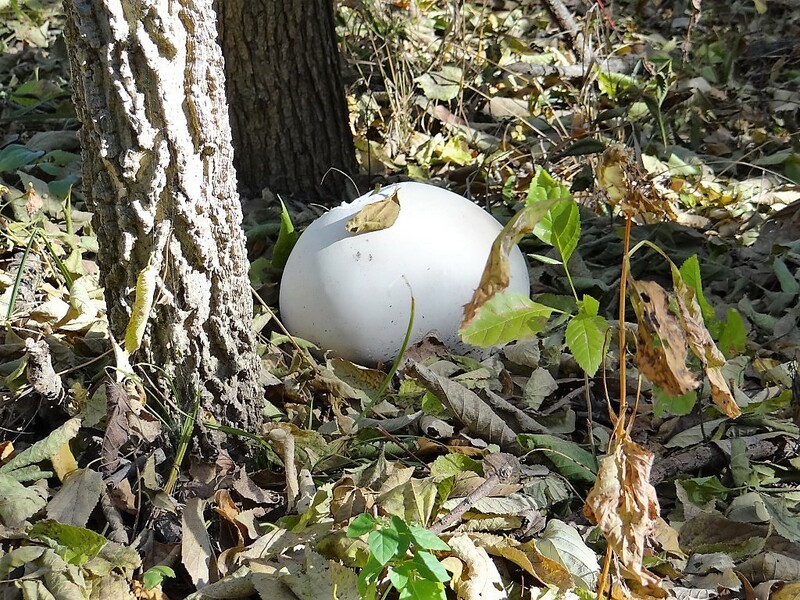 Edible giant puffball mushroom during fall in woodland habitat in rural Sarpy County, NE. Photo by Greg Wagner/Nebraska Game and Parks Commission. Being active, staying fit and eating healthy are all important to ward off the sedentary accumulation of pounds and feel great! Don’t wait until the new year to make promises for the year ahead. Start early with the beauty of fall as your guide for overall wellness. Venture outdoors for an adventure this autumn in Nebraska! 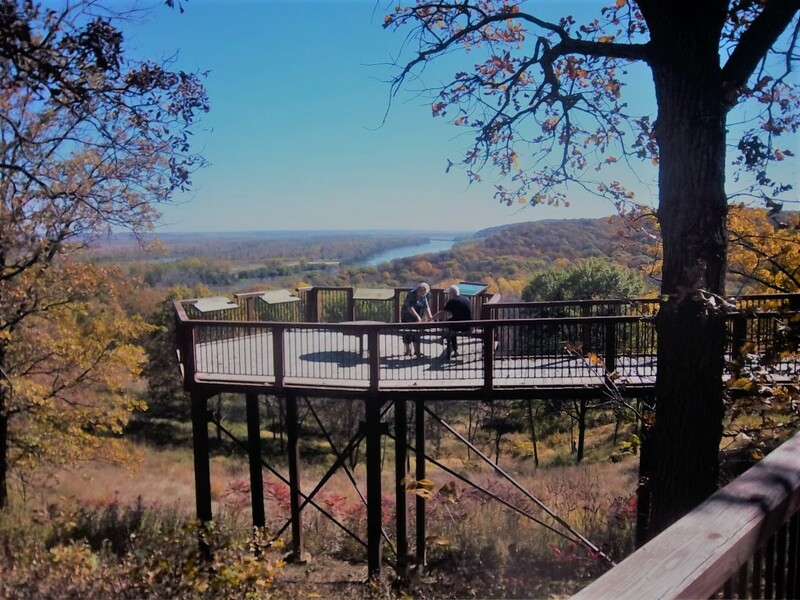 The scenic overlook at Indian Cave State Park near Shubert, NE in fall. Photo by Kevin Holliday/Nebraska Game and Parks Commission. The post Fall Is For Being Outdoors! appeared first on NEBRASKALand Magazine.